A sealed grave is opened. The coffin is raised and the lid is lifted. No-one would expect to see the corpse inside glowing with a soft but unmistakeable light. But all that happened in October 1927 in a cemetery in New Jersey: a grave was opened, the coffin-lid was lifted, the corpse was glowing. And in fact it wasn’t unexpected, because the exhumation was carried out as part of the investigations into the deaths of female factory-workers who had worked with a glowing chemical called radium. The full story is told in a book called The Radium Girls, where the author Kate Moore traces what happened to dozens of young women employed by companies like the United States Radium Corporation. They were well-paid and enjoyed their work because they didn’t realize it was killing them. 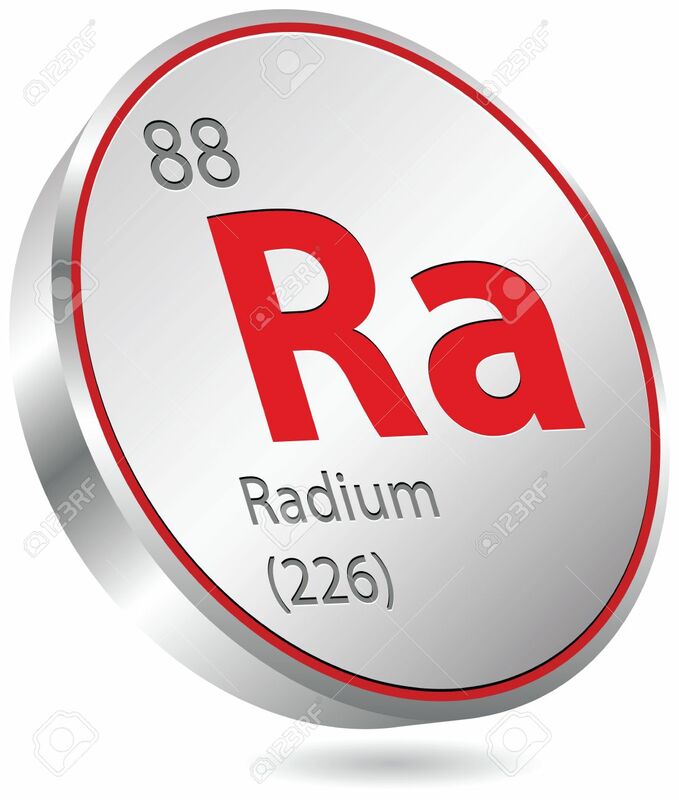 In those days, no-one realized the deadliness of the wonder-element radium, which takes its name from the rays of light it continuously emitted. It had been discovered by the Polish-French scientist Marie Curie at the end of the nineteenth century and rapidly captured the imagination of the world. Some reasoned that it would be a powerful tonic for ailing people, because it was full of energy and light. And it had obvious uses for instruments like watches and compasses that often needed to be read in the dark, especially during war-time. That’s where the radium girls came in. They were employed to paint luminous numbers onto watch-dials. First they dipped camel-hair brushes into a glowing solution of radium, then used their lips to draw the brush-hairs out fine, then painted the dials. We gasp in horror, knowing what we know today: that radium pours out deadly radiation, insidiously weakening and destroying living tissue. But the radium girls laughed to see what repeated contact with radium was doing to their bodies and clothing. As the deadly element was absorbed into flesh and fabric, it made them glow in the dark. The light seemed beautiful, magical and romantic, but it was a sign that radium was slowly causing irreversible harm to their health. The symptoms were various – exhaustion, miscarriages, tooth decay, and so on – but the factory-workers usually suffered from severe haemorrhages when the inevitable end came and they passed away. As the death-toll rose, it became more and more obvious that something was seriously wrong. Why were so many young women passing away in the prime of life? The finger of blame pointed straight at their work with radium, but the companies who employed denied any link and could hire the best legal advice to block claims for compensation. The workers had little money to spare from paying medical bills arising from their illnesses. Fortunately, a skilled lawyer called Leonard Grossman was prepared to work pro bono, without charging fees, and he fought a long legal battle with a seriously ill dial-painter called Catherine Donohue. She literally died to prove the justice of the cause, but wasn’t until 1939 that Grossman finally won a claim for compensation. Then came the Second World War, which ended with the dropping of two atomic bombs on Japan. Like the Radium Girls, thousands of people in Hiroshima and Nagasaki died of radiation poisoning. The deaths of the Radium Girls and Japanese civilians have set a powerful example: workers are now protected by strict safety standards from working with dangerous chemicals and the international community works hard against nuclear proliferation and tries to reduce the likelihood of nuclear war. The atomic age has handed mankind enormous new powers, but the fate of the Radium Girls remains a stark warning that every scientific advance must be treated with caution.